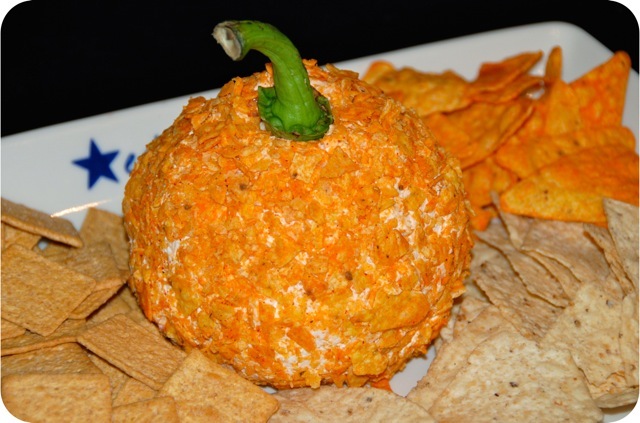 Ready for the easiest, most super cute and adorable fall hors d’oeuvre, snack or appetizer? Am I right? When I first saw this idea, it was love at first sight. Of course, this “pumpkin” recipe doesn’t actually have any pumpkin in it. But it’s perfect for Halloween parties or even Thanksgiving! So. Cute. I was thinking that Halloween was my favorite holiday. But I also really like the 4th of July (since it’s the only holiday in my favorite season), and Thanksgiving (food, hello), and Christmas (for the presents)… so I guess I just like all holidays. Especially when you can make fun themed things! Favorite things about Halloween? 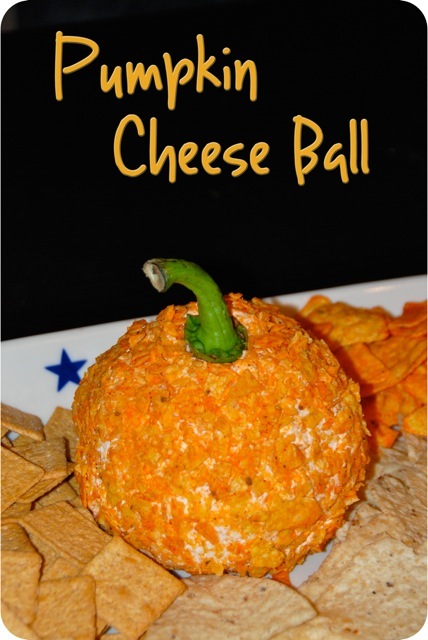 Carving pumpkins and toasting the seeds, little kiddos in costume, candy corn… and now adorable pumpkin cheese balls! 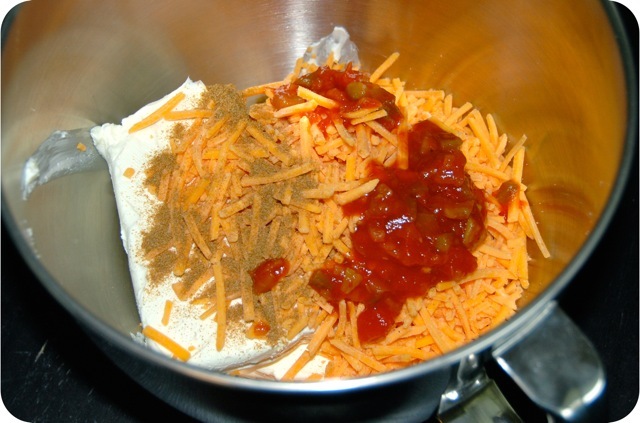 Combine cheeses, onion, salsa and cumin in a bowl. 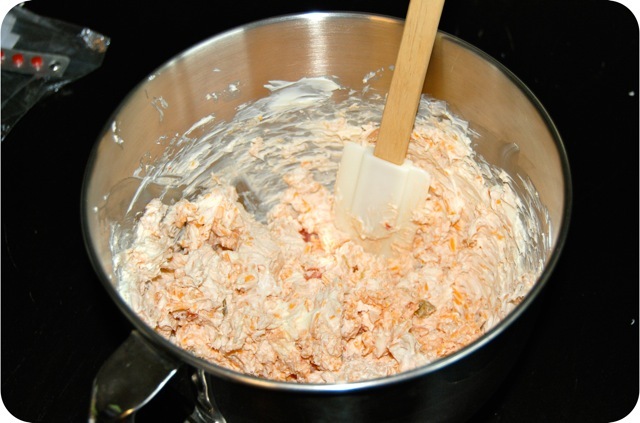 Use an electric or stand mixer to combine until creamy. 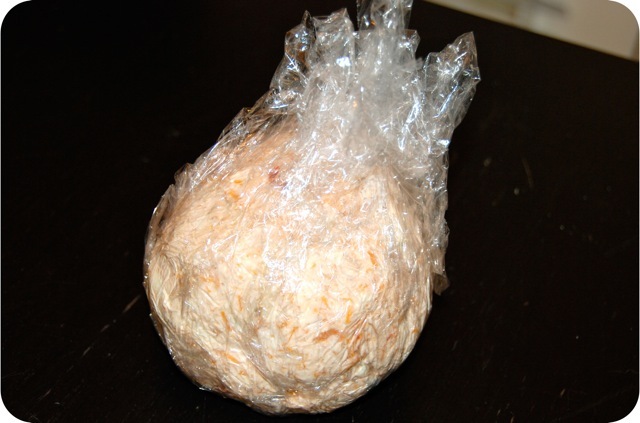 Scoop the mixture out onto plastic wrap and form into a ball. Refrigerate at least 2 hours or until ready to serve. When you’re ready to serve, remove the ball from the plastic wrap and roll it in the chips, coating evenly. Add the stem and serve with chips, crackers or veggies! 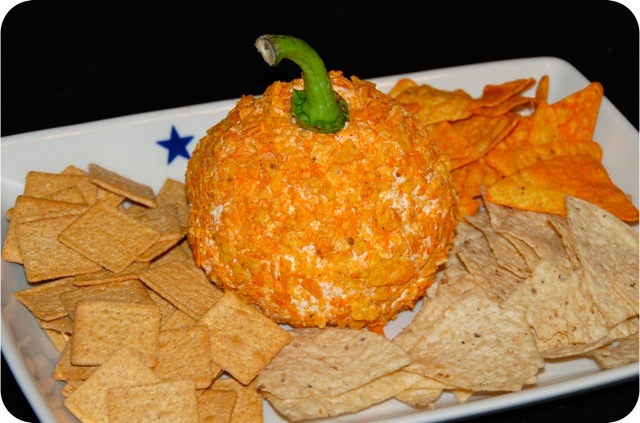 Besides being festive and cute, this cheese ball was delicious! I made it for a crowd and got as many compliments on its taste as its looks. The cumin and onions kicked it up perfectly. 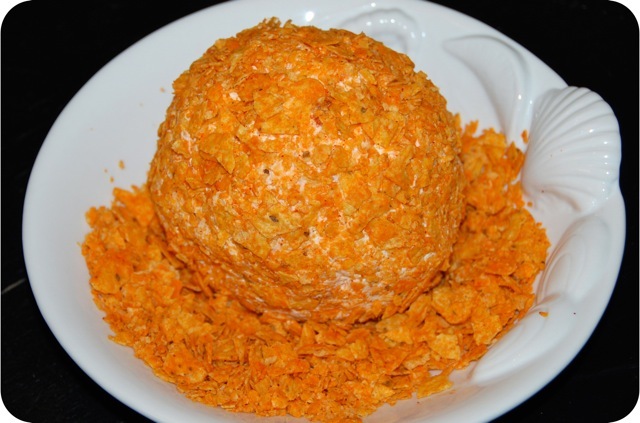 Of course, if you have a different favorite cheese ball recipe, any kind could be coated in nacho cheese chips for the same effect. Enjoy! I’m thinking this will make a perfect appetizer for Thanksgiving! My hubby LOVES cheese! Thanks for sharing at It’s Fall Y’all! I made this at Halloween and it was so easy and GOOD. I served it with tortilla chips. It was so good that the family wants it again for Thanksgiving. This time I’m serving it with crackers. You will love it!